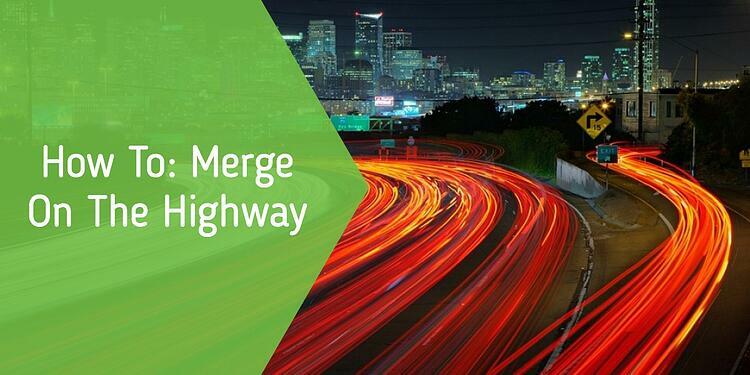 Merging onto the highway is likely the most obviously dangerous thing the average American does on a daily basis. Higher speeds, blind spots hiding cars, and the stress of heavy traffic can all lead to collisions out on our roadways. As with all types of driving, merging onto the highway can be made infinitely easier by understanding the basics of what is going on. When first entering the highway, a driver will be on what is called an “entrance ramp”. This is supposed to be used as an acceleration ramp to bring the car up to the speed of the highway. It is much easier and safer to maneuver around vehicles on the highway when you and others are all going roughly the same speed. This is one of the main reasons there are minimum speed limits on many expressways. When first getting on a right-side entrance ramp, the line on the right of your lane is going to be white and the line on the left will be yellow. This will be reversed for a left-side entrance ramp. At some point the line on the left will change colors to white. This is informally referred to as “the point” by many of the instructors here at The Next Street, because it is the spot a driver should make sure to perform a three point check (see pro tip, below) on their appropriate side to check the expressway for traffic. The point is also when the driver on an entrance ramp should blinker, indicating that they wish to merge. It should be said here that some expressways, such as Interstate 84, have several entrance ramps that turn into their own lanes once they connect to the highway. Merging isn’t necessary immediately when a driver is entering the highway at these entrances, but many times these entrance ramp lanes will eventually taper off or otherwise end, leading drivers to have to change lanes anyway. When checking for traffic, the worst case scenario would generally be that it is heavy and a merging driver has to look for a gap in the cars to fit themselves into. This gap should be no less than three car-lengths in size, as at expressway speeds and due to the suddenly changing nature of traffic anything smaller would be too risky. If, as you are accelerating to the posted speed limit of the expressway, no suitable gaps show themselves the safest thing to do is to NOT STOP ON THE RAMP. Instead use the shoulder up ahead to come to a gradual stop. It will be harder to enter traffic from a stop in the shoulder, but if a driver comes to a stop on the ramp they leave themselves open to being rear-ended. 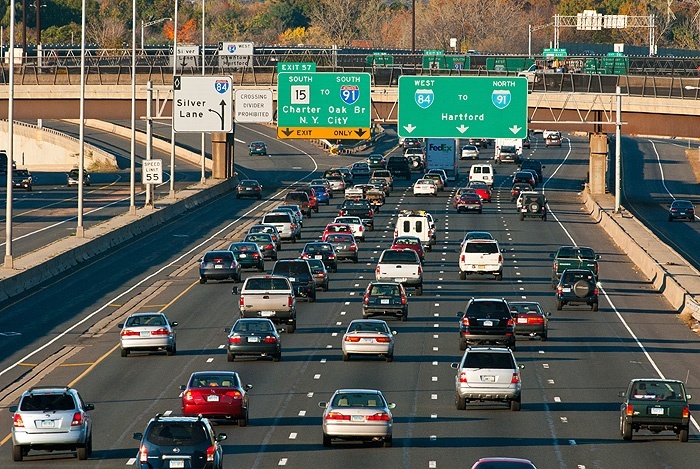 When looking to get off the highway, the process outlined above essentially reverses itself. When an exit is chosen, the driver should blinker well in advance and make sure they are in the appropriate lane for the exit, either the one that becomes an exit ramp via an “EXIT ONLY” lane, or the one closest to the emerging exit lane. A three point check should be performed here (for the more common right-side exit, the check should be to the right) looking for cars coming into conflict from the shoulder. While drivers shouldn’t be using the shoulder as a lane, expecting the worst from others on the road is a cornerstone to defensive driving. Lastly, once actually on the exit ramp there will usually be a posted ramp speed limit. This is not a suggestion: it is the speed limit for the ramp. DO NOT SLOW DOWN ALL AT ONCE as this could lead to getting rear-ended, but instead gradually slow down to the limit. A three point check is when a driver is checking around them for other cars. The three points of the check are glances at your rearview mirror, then the appropriate side-view mirror, and then the appropriate blind spot (in most cars, this is the back door window on the side you’re checking for traffic). A driver should perform a three point check when they are parking, performing a three point turn, getting off a highway exit, coming out of a parking spot, coming off of a curb, re-entering traffic after having moved over for an emergency vehicle, etc. How confident are you driving on the highway? Brush up on your skills or get a refresher with one of our Private Driving Lessons, tailored to your needs!